Nelson wharves showing docked sailing ships and steamships. 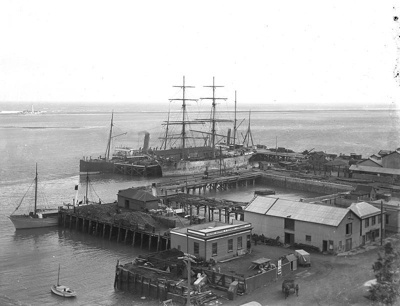 The Anchor Shipping & Foundry Company office stands in the foreground and wharf extensions are under construction. The Nelson Lighthouse can be seen on the Boulder Bank.